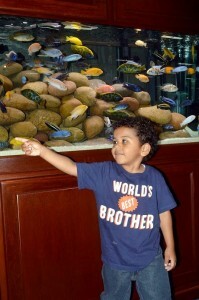 Families can explore displays of fish from around the world at Aquatic Experience – Chicago. Photo courtesy of the World Pet Association. CHICAGO (September 15, 2014) – The World Pet Association’s (WPA) second annual Aquatic Experience – Chicago makes a splash Nov. 7-9, 2014, with the addition of over 130 aquariums of tropical fish and return of the popular Live Shark Encounter and Kids Aquarium Contest. Show attendees will find “everything aquatic under one roof” at the Renaissance Schaumburg Convention Center, from saltwater and freshwater fish to pond and aquatic plants—including a Fish from Around the World display with Children’s Touch Tank, two inaugural aquatic competitions, educational seminars and a thriving show floor of exhibitors showcasing the latest in aquatic trends and products. Daily family passes ($25), individual tickets ($10), weekend passes ($99) and Saturday dinner and keynote tickets ($60) are now on sale for Aquatic Experience – Chicago. Registration for the Kids Aquarium Contest for children ages 5-16 is $5 and includes a 10-gallon aquarium kit complete with filter, lighting, heater and thermometer, plus a wristband for free admission to the show floor with a paying adult. For more information and to purchase tickets, please visit www.aquaticexperience.org. The new display of over 130 aquariums of tropical fish, presented by the Florida Tropical Fish Farmers Association, will include a wide variety of tropical fresh and salt water fish farmed in the US and provide inspiration for retailers, advanced hobbyists and fledgling aquarists all three days of the show. 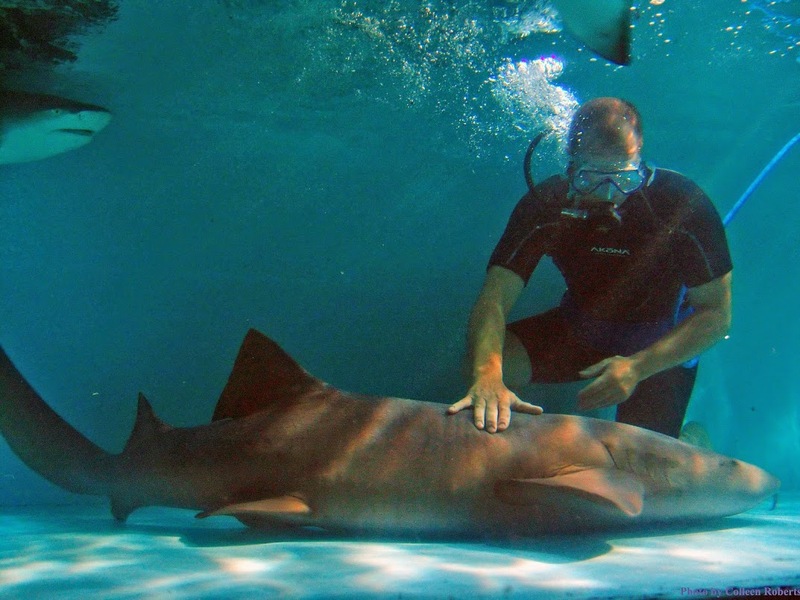 Haai Inc’s Live Shark Encounter, the only travelling shark show in the country, returns this year to give attendees the chance to see sharks up close as a diver swims and interacts with these awe-inspiring animals, providing entertaining and educational information. Aquatic Experience’s educational seminars on hobbyist and retail topics will feature keynote speaker and Newport Aquarium Zoological Operations Manager Jeff Gibula, in partnership with Chicago’s Shedd Aquarium, taking a behind-the-scenes lighthearted look at public aquariums and their relationship to today’s hobbyists and their home aquariums. 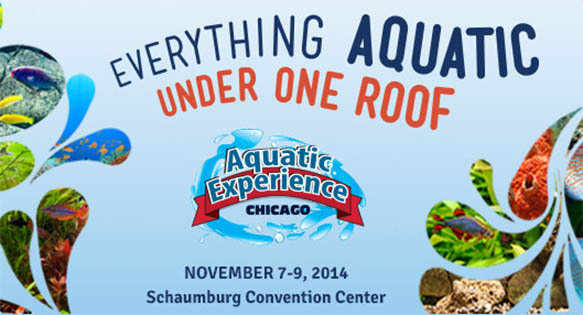 This year’s show also hosts two inaugural aquatic competitions: the Aquascaping Live! Contest presented by the Aquatic Gardeners Association, and the Aquatic Experience Fancy Guppy Competition presented by the International Fancy Guppy Association. Additional aquatic experts presenting at educational seminars this year are Anton Lamboj, Bob Fenner, Brandon McLane, Charles Delbeek, Chris Lukhaup, Eric Bodrock, Francis Yupangco, Heiko Bleher, Jake Adams, Jen Reynolds, Joe Olenik, Jonathan Dooley, Julian Sprung, Karen Randall, Kevin Kohen, Oliver Knott, Oliver Lucanus, Patrick Dontson, Rusty Wessel, Sandy Moore, Sanjay Joshi, Steve Lundblad and Ted Judy. Topics include: aquarium and water garden plants; fish breeding; changes in the aquatic world; specialty stores in niche markets; hiring and training strategies; designing a successful fish room; and aquatic explorations of Thailand and Lake Tanganyika. 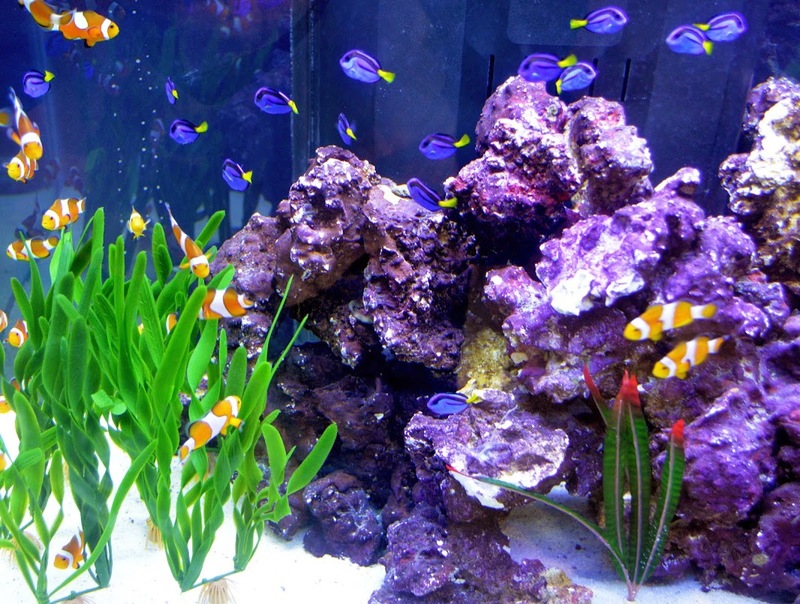 A tank of blue hippo tang and clownfish at Aquatic Experience – Chicago 2013. Photo courtesy of the World Pet Association. The World Pet Association (WPA) is the oldest industry organization promoting responsible growth and development of the companion pet and related products and services. WPA works to inform and educate the general public in order to ensure safe and healthy lifestyles for our animal friends. WPA is the host of America’s Family Pet Expo, the world’s largest consumer pet and pet products expo, held annually in Costa Mesa, California. The organization also produces SuperZoo, an annual pet industry trade show that showcases a comprehensive collection of exhibits and offers a variety of informative educational seminars, and Atlanta Pet Fair, the Southeast’s largest competition and trade show for the professional pet stylist. For more information, please visit www.worldpetassociation.org.